Shuttle service to and from the hotel is provided to take you to the center of town where exciting shopping, dining and leisure options abound. From the bargain-friendly haunts of the Old Market, Central Market and the night markets around town, to exclusive designer shops, galleries and boutiques in smaller alleys as well as to the culinary destinations that run aplenty all over town, there are plenty of distractions for everyone. For the more adventurous, bamboo bicycles are a green and sustainable way to go. 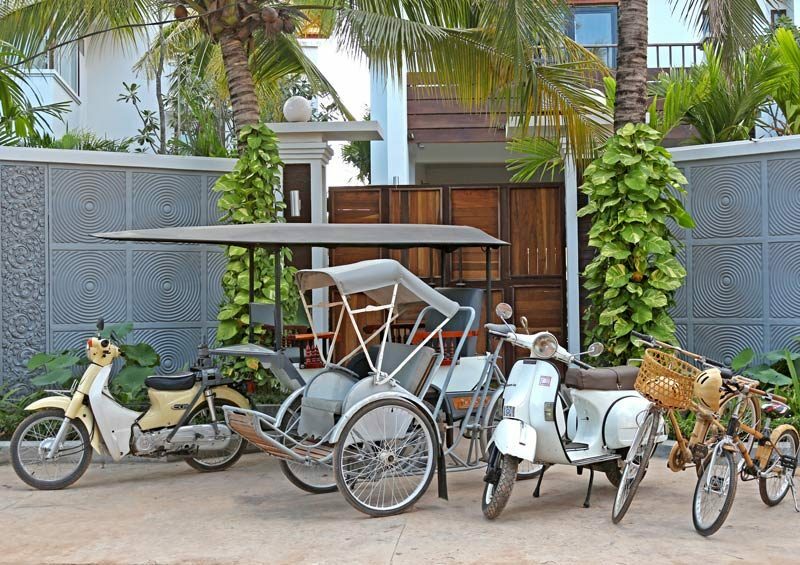 The hotel also has a traditional Indochinese cyclo which can give guests a way to experience getting around during the days of the French colonial protectorate. A vintage Vespa is also on hand as a chic alternative to going around town.